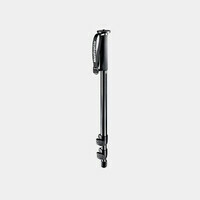 Manfrotto's Fluid Video Monopod W/Head has a maximum height of 6.56' (200 cm), minimum height of 2.5' (76.5 cm), and included compact, lightweight fluid head of this 4-section aluminum monopod give you versatility to spare. The head has a long sliding plate, and the ergonomic pan-bar provides smooth panning and tilting. Three mini supports at the base bring added stability. 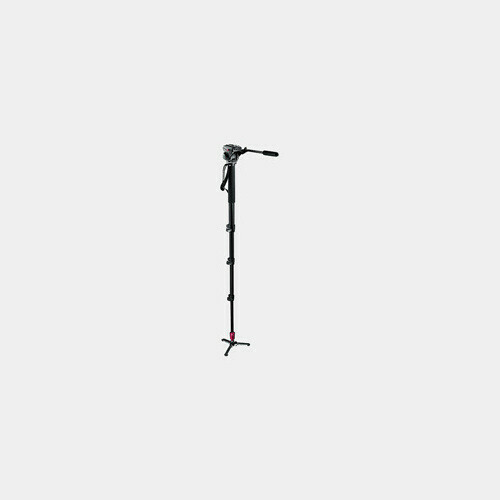 This monopod and head were designed specifically for light prosumer and professional compact HD camcorders plus lightweight spotting scopes (up to 8.8 lbs).